Taken at a Carols by Candlelight concert on Dec 9th 2015 in the visitors centre at Malahide Castle. 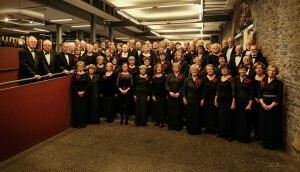 Ladies and Gents of Enchiriadis Treis singing Mozart’s Requiem in Riva Del Garda on October 18th 2015. Enchiriadis Treis performed Handel’s Messiah on Sunday November 29th, 2015 at 8:00pm in St Anne’s Church, Portmarnock. 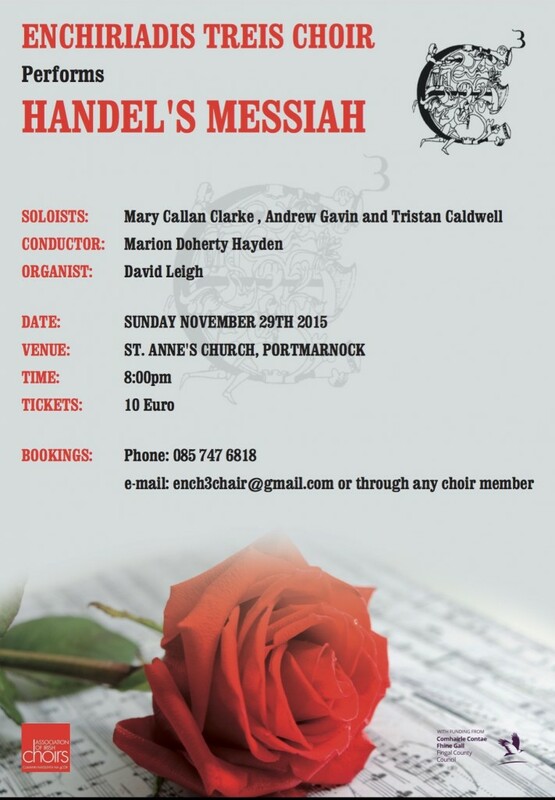 Enchiriadis Treis , will perform Handel’s Messiah on Sunday November 29th at 8pm in St Anne’s Church, Portmarnock. Tickets also available through any choir member. 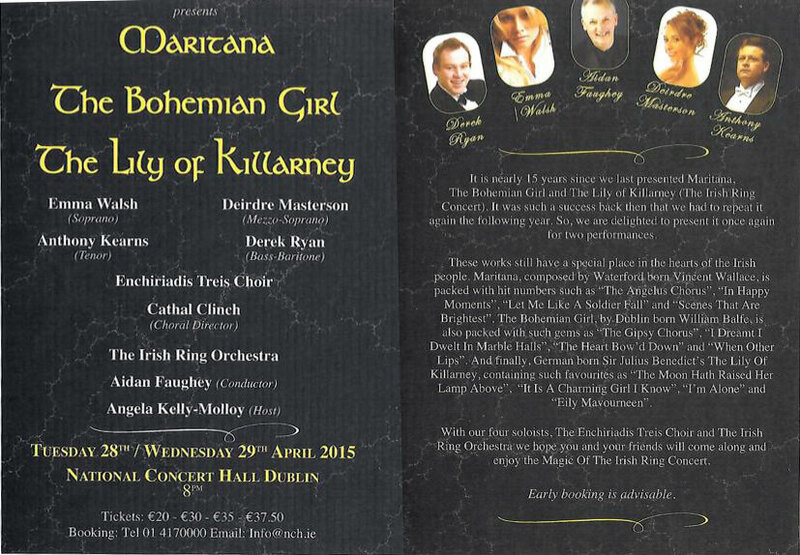 It has been almost 15 years since Jim Molloy Promotions last presented Maritana, The Bohemian Girl and The Lily of Killarney. 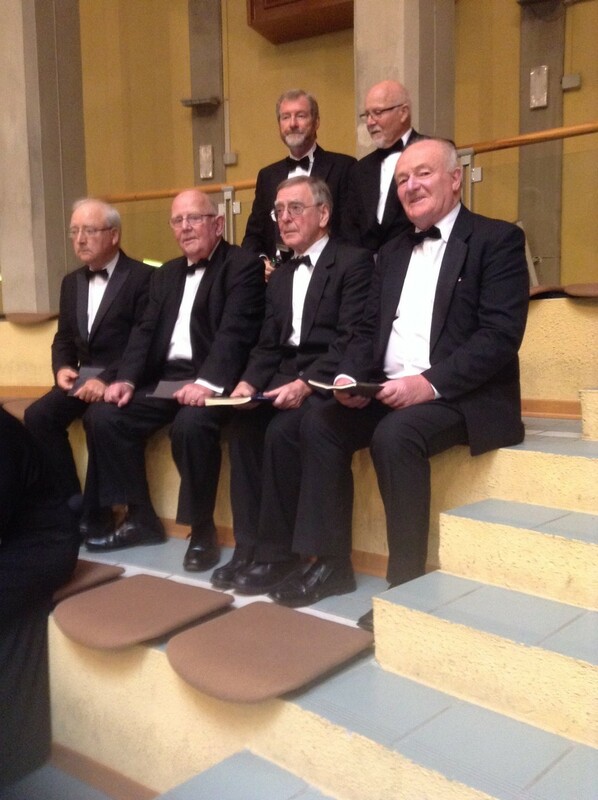 These works still have a special place in the hearts of Irish people. Maritana, composed by Waterford born Vincent Wallace is packed with hit numbers such as “The Angelus Chorus”, “In Happy Moments”, “Let me Like a Soldier Fall” and “Scenes That Are Brightest”. 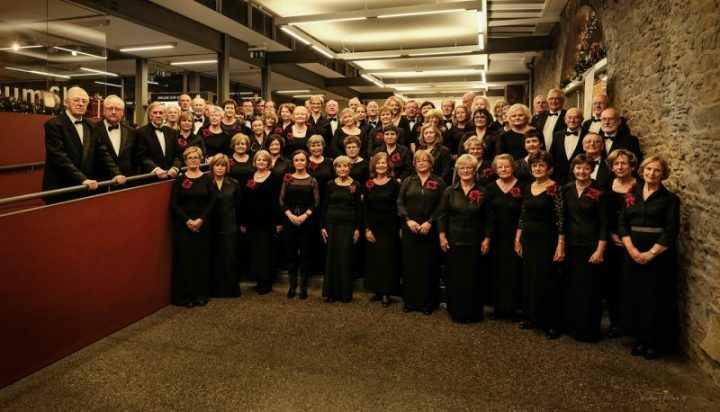 With our four soloists, the Enchiriadas Treis Choir and The Irish Ring Orchestra we hope that you will come along and savour once again the Magic of The Irish Ring Concert. 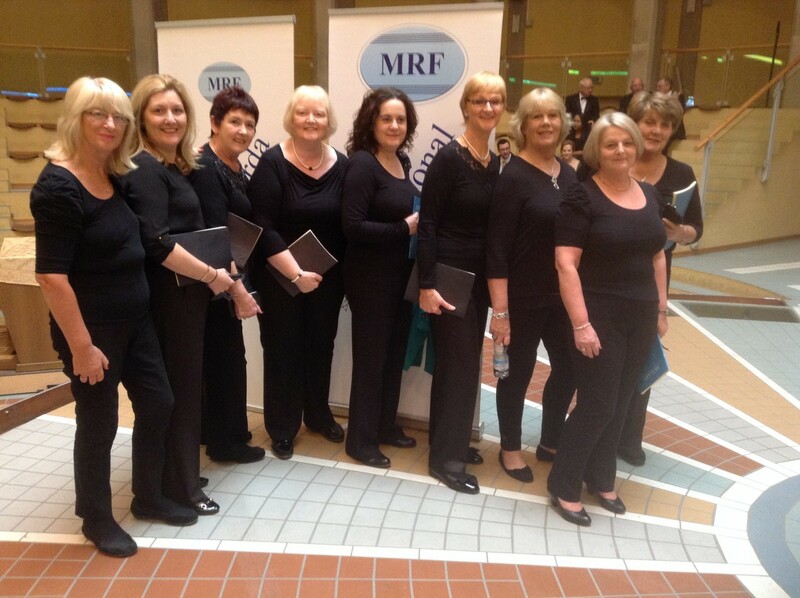 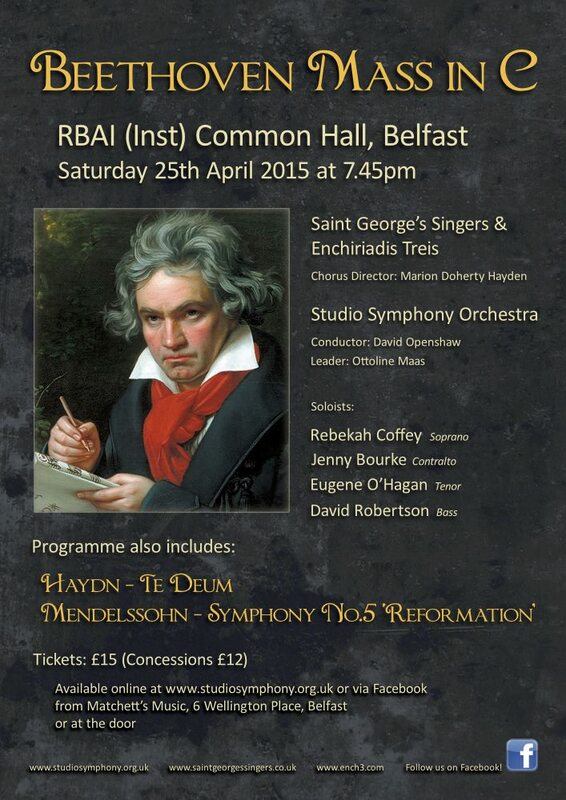 Enchiriadis Treis together with the St. George’s Singers will present Beethoven Mass in C on Saturday 25th of April 2015 in the RBAI (Inst) Common Hall, Belfast. 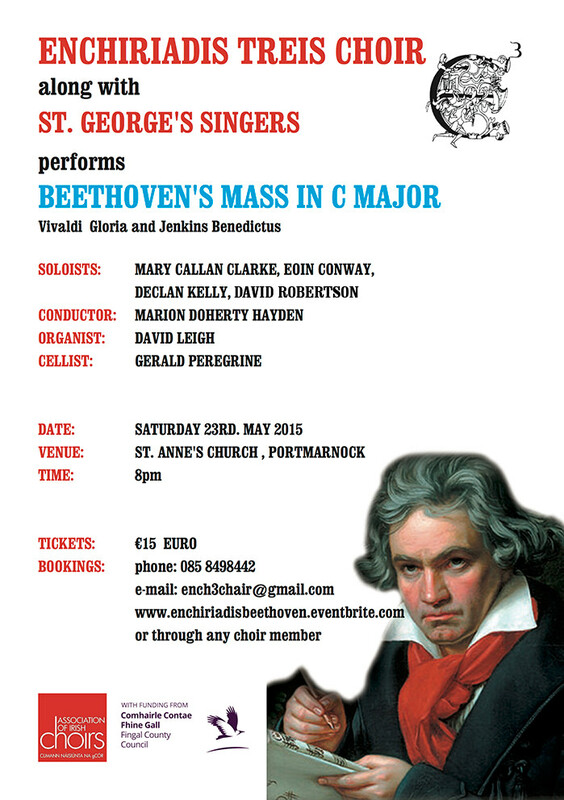 Please see flyer for more information.